Written on 18 October 2014 . Once again Jeff and his team from NORTON Homes & Developments were recognized at the recent prestigious 2014 HIA Housing Awards. Their work was nominated and recognized for the category of " Renovations/Additions $600 000 to $1 Million "
Written on 13 September 2014 . 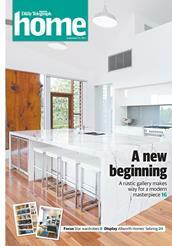 Three pages dedicated to one of our most recent transformation projects which we are extremely proud of !
" Lee and husband Barry saw the potential and engaged local builder Jeff Wouters from Norton Homes and Developments to transform the building into a contemporary three-bedroom home with a triple garage and a vast entertaining deck — all inspired by the look of the original building." 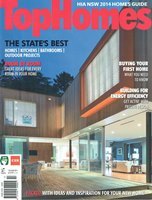 After Norton Homes success as Finalists at the 2013 HIA NSW Housing Awards, they were featured in the current "Top Homes" magazine. Jeff and his team from NORTON Homes & Developments were recently recognized as Finalists in the prestigious 2013 HIA Housing Awards!!! Their work was nominated and recognised for the Category of "Custom Built Homes $1 million - $2 million"